Social media marketing is a fast growing marketing platform for online marketing endeavors. It gives you better opportunities to understand the potential market and strategies for different campaigns. 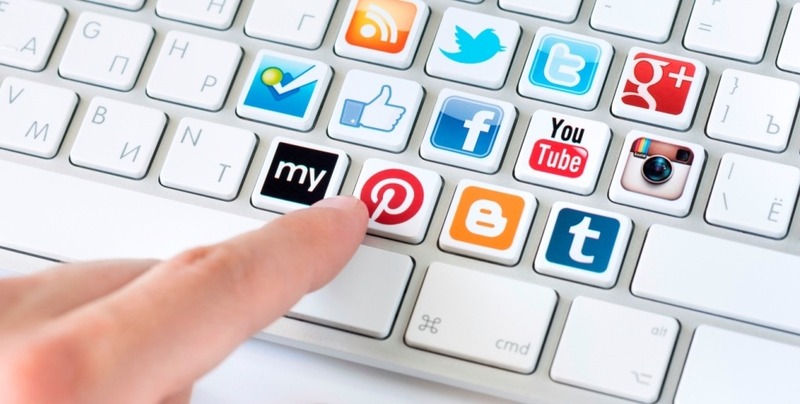 Social media is an incredible chance to get valuable exposure for your business. It gives you a chance to get free exposure about your product to millions of people. However, a successful campaign during the early stages of your business’s can make the difference between success and failure. You can use unique ways to organize your accounts in order to have more interaction and personal engagement. Social media provides a tremendous amount of engagement to make your app visible to everyone. Effective branding means spicing things up a little by adding visuals to your brand. In another word, it is consistent and frequent messaging. You can use Facebook, Twitter, LinkedIn, Google+, Instagram and much more to make an effective branding. You can attract users with content and graphics. Remember that customers always enjoy their experience with you, irrespective of the medium. Make your app visible to everyone by doing Facebook posts with a creative image. Because images attract attention of users and stand out in the news feed. An image can work in many ways. Keep in mind that ‘Pictures are worth a thousand words’. Using pictures is a great way to make your app stand out from the crowd. Useful Tip: Post ‘Download the App’ like messages with screenshots of the app. Add a relevant app picture to go with that post. Communicate with your customers and keep them in the information loop. Promote new features of your app, new products, and services. Social media is a killer way for the customers to provide direct feedback about your app. Be active on the social media as customers/users will tell you whether your brand met their expectations. Indeed, that information is priceless. This kind of communication would improve sales and effectiveness of your app. Useful Tip: You can also drive your followers/customers to your website to sign up to download a white paper, Study or newsletter. This is one of the best strategies to market your app. Make your users feel that they will get something extra rewards when they purchase your app through social media. It is an added incentive to connect with you. A bonus of digital rewards helps you to expand your audience reach and boost engagement without using any real money. Useful Tip: Encourage your users by creating good informative content. Send a portfolio why you have developed this app and its benefits while rewarding them. Integrate your app with social media and capability to capture the voice of the customer helps you to market your app in big time. Value feedback about your app and take the appropriate actions immediately. Useful Tip: The mobile ecosystem gives customers the chance to listen and speak with you. Make sure your tweets, status and updates and messages you send out ask the reader to do something. Social media is the most cost-effective element of your advertising strategy. Over the next few years, we can observe a rise and fall in different platforms but social media will dominate the online world. So, engage social media to market your app in a unique and creative way! If you need more information on iOS/Android app development & marketing for your business app, please feel free to Contact us. We work round the clock to help our clients to provide custom solutions.